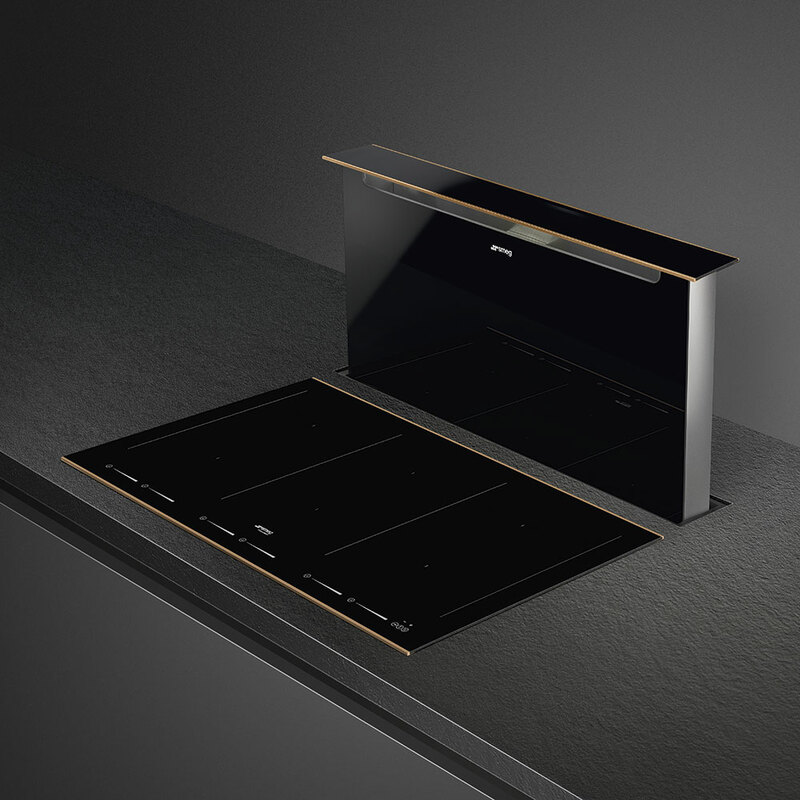 NB: Downdraft extractors can be installed anywhere in a kitchen but are ideal for when a hob is situated in an island unit. 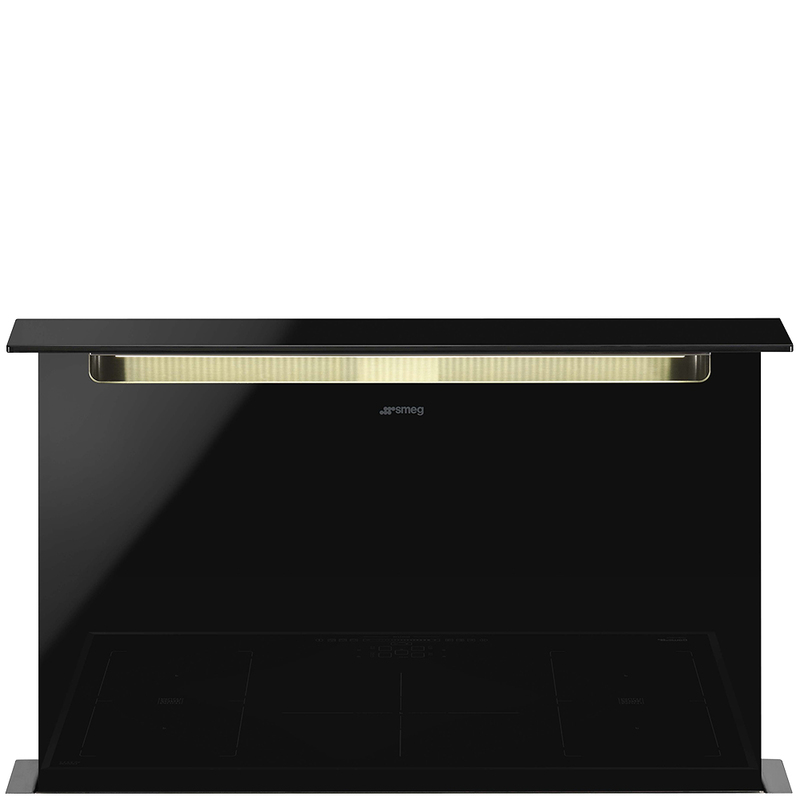 The extractor is installed under the worktop directly behind, or to the side of, the hob so that when it is not in use, it can be completely hidden from view. A Downdraft extractor can be vented or recirculated. When it is vented the ducting has to be passed under the flooring, below the cupboards or along the back of the cupboards – it is important therefore to decide on the hood before refurbishment work begins. The length of the ducting will affect the extraction performance, if it has to travel too far to go to an outside wall or there are too many turns in the ducting you are advised to recirculate the extractor.